I went on a road trip with my family and a whole bunch of library shenanigans (and one museum shenanigan) piled up. The Hermitage Museum keeps 74 cats on site to protect its treasures from rodents! Thanks, Anna Bendiksen. Gloria Gaynor disco party at the Library of Congress in May, yes, this is for real. You know you wish you could go. “Quirky photo project” by Elise Schimke at the University of Wisconsin – Madison. 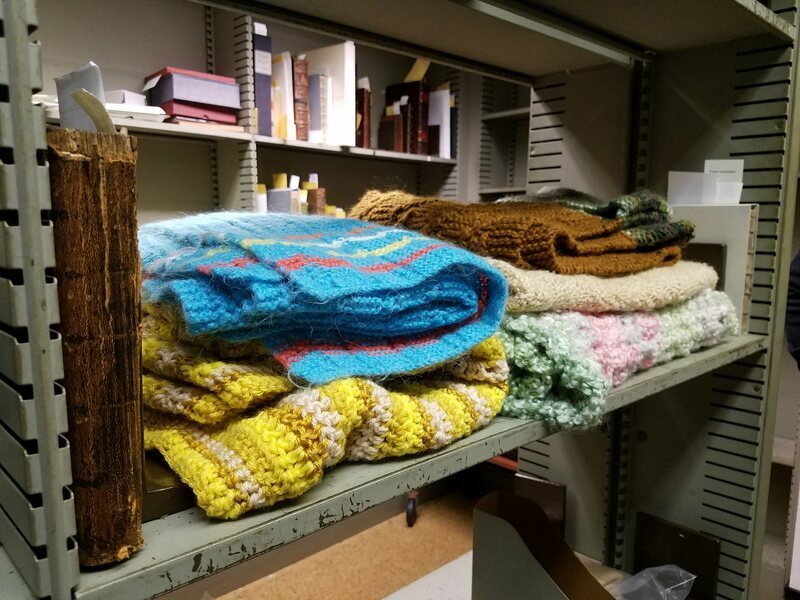 The Folger Shakespeare Library apparently gets pretty cold, but researchers can borrow hand-knit shawls while on site. Thanks, Lynne M. Thomas! And speaking of library-themed clothing, library book leggings are available from Kickin Leggings (this ad showed up in my Facebook feed, so Facebook isn’t totally useless I guess). 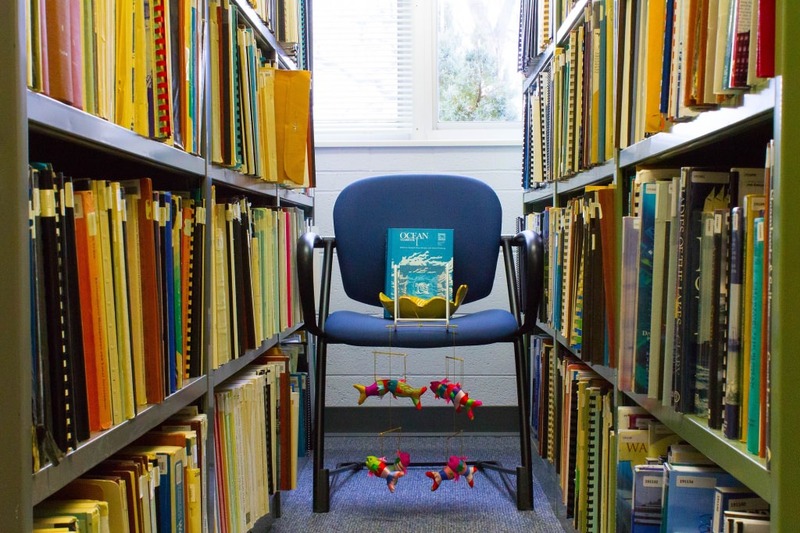 Terry Border (“humorist, photographer, earthling”) takes old paperback books and turns them into anthropomorphic representations of the stories in the books. This is more of a book shenanigan than a library shenanigan, but you know we don’t stand on ceremony here at Library Shenanigans. I particularly enjoyed seeing the very paperback editions I read, the ones that seem right, for several books — it was like seeing old friends. Are there books you prefer to read in particular editions? I’ve heard that as soon as you have two editions of the same title in your house, you are not just a reader but a collector. By that definition I think most readers are probably collectors. 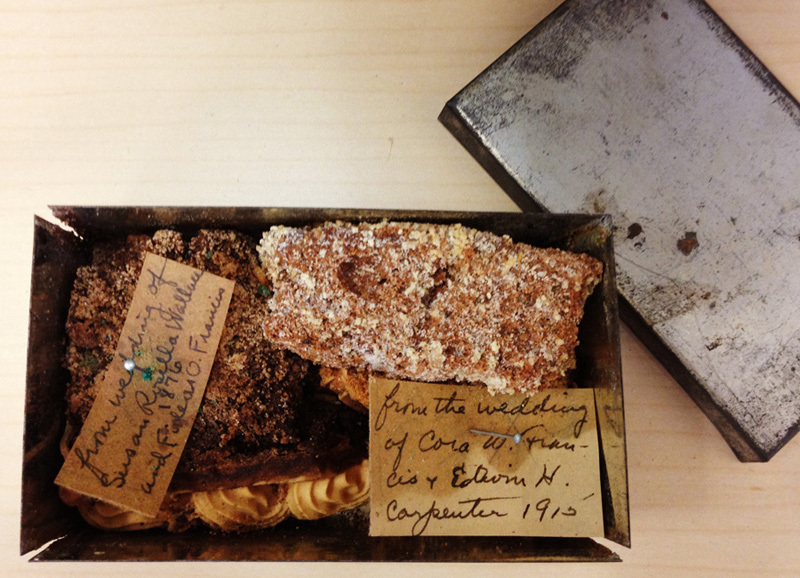 The Huntington Library in San Marino, CA has decided to attempt to preserve two pieces of wedding cake found in the papers of Edwin Carpenter. The pieces date from 1876 and 1915 and have “little research value.” Nevertheless, the staff have found themselves reluctant to discard cake. (I’m with ya, Huntington Library.) Thanks, Steve Fisher! More of a bookstore shenanigan than a library shenanigan. Perpetrated by … the books themselves! Thanks, Amy Brooks and others.